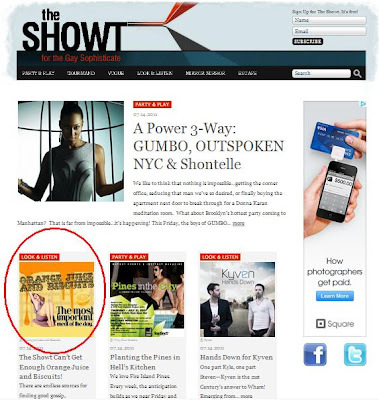 OJ&B In The Press: OJ&B Gets A "Showt" Out From The Showt! I was thrilled when I was told that The Showt.com was going to be featuring OJ&B in their "Look & Listen Section! The Showt is a website for the "Gay Sophisticate," meaning that they like things that are fun, fab and classy like OJ&B. I love when other great websites show love for Orange Juice and Biscuits! My favorite part is when they called OJ&B "Valdez’s boutique breakfast blog!" 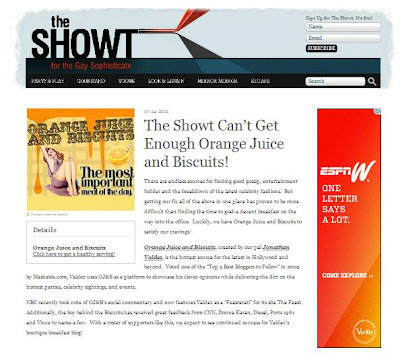 Above: Orange Juice and Biscuits' featured as one of the main stories on The Showt's home page. It reads, "The Showt Can't Get Enough Orange Juice and Biscuits." Special Thanks to the Showt's editor-in-chief Ty Kuppig for the "Showt" out! Loving the love!! Make sure to check out my feature on TheShowt.com by clicking here. 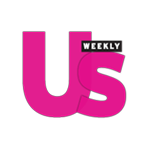 While you are on the site, click around for some amazing finds and fun reads!